WHY IS INDOOR AIR QUALITY SUCH A BIG DEAL NOW? HOW CAN I CLEAN MY AIR? It’s true that for many years indoor air quality was not a big topic, but with new demands on higher insulation, and much more airtight homes, re-cycling the air we breathe becomes more important. Older homes would (any many still do) “breathe” a lot. This translates into “leak a lot” of your expensive pre-conditioned air. Builders are more and more aware of the importance of making energy efficient homes, thus more airtight, but what happens when we live in breathe in the same air again and again? Well, CO2, (our exhaust from breathing) can accumulate, as well as vapors from our life...cooking vapors, bathing vapors, pet dust and dander...all will accumulate and create detrimental conditions. Even our furnishings will radiate low levels of unsafe gases that can accumulate. As a result, AC contractors have to address another critical issue beyond just heating and cooling the house itself. We have to make sure the air our customers breathe is safe! Simply put, there are generally two ways to keep your air healthy. Although your standard AC system comes with an air filter, it will only block large particles, such as hair, and heavy dust. The original intent of the air filter was to protect the motor and indoor coils from dirt contamination, not to help clean your house! Filters are available that can clean air particles to a safe breathing standard, such as HEPA filters, or electronic air cleaners. 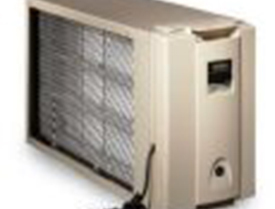 HEPA filters are simply high quality filters that will block passage over even very small particles. They are somewhat costly, and have to be replaced every 6– 10 months. Electronic air cleaners actually capture the same particles and even smaller ones on electronically charged plates that are periodically washed clean and re-installed. 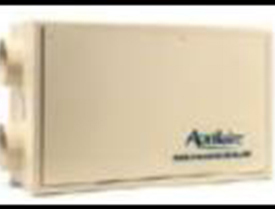 These are usually installed next to your air handler or gas furnace in an easily serviced location. Superior cleaning qualities, lowest operating cost. Although filtering air can remove most all of the dirt and pollen in our breathing air, it cannot remove accumulated gases. CO2 from breathing, vapors from cooking, emissions from household products….all can accumulate in an airtight home. The answer is to replace it with fresh air. But here in South Texas, we don’t want to vent out our cool , dry air conditioned air with an exhaust fan, and draw in hot, humid air. 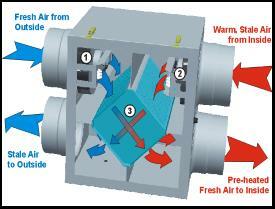 The answer is an ERV, or energy recovery ventilator. This fan unit, without the use of a compressor or any other power robbing unit, will exhaust stale air from the house, and pull fresh air in, but in doing so will transfer the temperature and humidity of the incoming air to the outgoing. Thus the incoming air is pre-conditioned to indoor temperatures and humidity before introduction to the home, with about a 80% efficiency rate, and uses about the same power as two 60 watt light bulbs. Maintenance is minimal, with a couple of filters to clean periodically. An Aprilaire Heat Recovery Ventilator. Exhausts stale air and introduces fresh, but transfers heat , humidity and cooling for low energy loss. An Aprilaire electronic air cleaner. Filters air down to minute particles of smoke, dander and pollen.